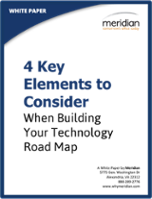 Documents, whether electronic or paper, are an essential component of just about any enterprise. Managing business information, sometimes from several sources, can be a challenging task. Depending on the nature of your company, a document management (DM) solution that captures, stores, and retrieves both paper and electronic documents can provide many key benefits to your organization. Commercial property costs are increasing and so is the expense to store paper documents. A software-based document management solution (DMS) that can reduce the need for file cabinets, boxes and storage bins is a valuable asset to any enterprise, freeing up precious office space. Documents that have to be kept as hard copies can often be stored in less expensive locations, such as an offsite warehouse or vault. Document security is vital to many enterprises. DMS provides better control over sensitive documents. Access to documents can be controlled at the folder level for different groups or individuals. Also, a DMS leaves an audit trail of who has viewed a document, when it was accessed, and how it may have been modified. Managed documents are highly traceable and can be tagged to allow for automated alerts. Compliance requirements for certain documents can be quite complex. Non-conformance can lead to fines, revoked licenses, and in some cases criminal liability. 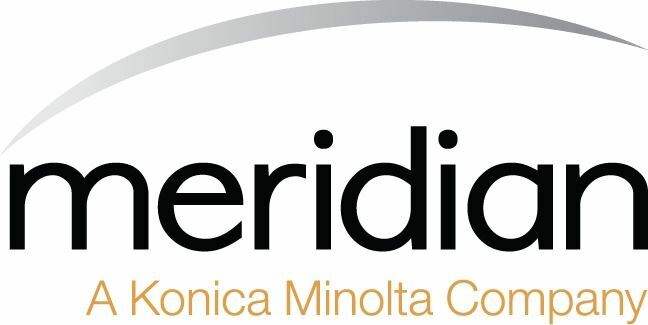 Federal and state regulatory regulations such as Sarbanes Oxley and HIPAA mandate strict security and privacy guidelines. DMS reduces the risk of non-compliance. Records retention schedules, for example, can be automated, and new documents can be more easily classified and stored. 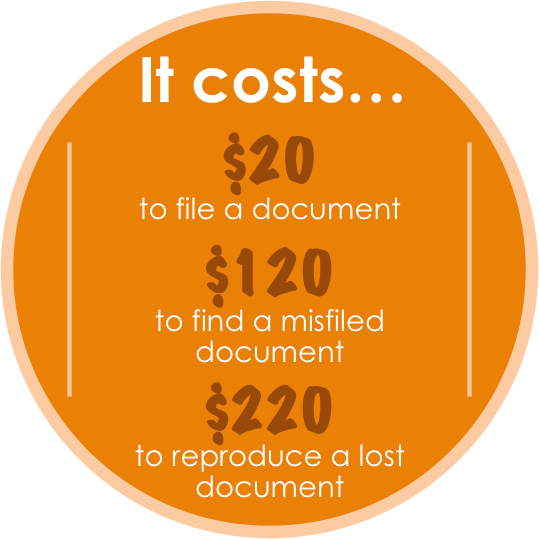 Organizations spend $20 in labor to file a document, $120 in labor to find a misfiled document, and $220 in labor to reproduce a lost document. 7.5% of all documents get lost; 3% of the remainder get misfiled. Professionals spend 5 to 15% of their time reading information, and up to 50% of their time looking for it. A document management solution, specific for your enterprise, can be a powerful, time-saving tool. Depending on the solution implemented, a DMS can retrieve files by a word or phrase in a document – full text search, or DMS can apply index categories to a document or folder. Easier integration with business applications facilitates access to critical information. DMS also gives the opportunity to access documents remotely. As long as there is internet connection, documents can be accessed from virtually anywhere. With DMS, information sharing and collaboration can be a lot easier. Documents captured from different sources can be accessed from multiple locations. Electronic imaging makes sharing documents over a network via email or the Internet possible. DMS provides greater visibility to business processes and can allow for better workflow monitoring. Authorized access by external users can be allowed and monitored. DMS also offers Version Control which allows for older versions of the same document to be recovered if needed. This feature is important if several parties work on the same document and there are changes made to a document that were not authorized or meant to happen. Any document management solution should include a data backup and disaster recovery plan. With digital archiving as a backup, paper documents are protected from fire and flood and other disasters. With a DMS, documents are highly traceable and can be tracked within a range of criteria. Also, because imaged documents are centrally stored they cannot be lost or misplaced after viewing. Documents are less likely to be misfiled, and if so they are easier to locate with cross-indexing. Documents can be digitized and archived at their point of entry into the system. Time is valuable, and time saved is a definite benefit of DMS that often translates directly into increased productivity. Faster and more efficient document retrieval can boost staff morale and increase client satisfaction. Also, document management solutions are scalable to meet the changing needs of any enterprise. Proper document management systems can bring many benefits to you and your office. Take initiative and schedule a demo today to see how a tailored document management solution can help you by improving business processes and increasing efficiency. Chris began working with Meridian in January of 2015. He is a Senior Solutions Engineer, in charge of pre and post solutions sales and implementation of scanning solutions.